Unravel the tale of the McInroy family. Is there a better alternative to Fear for Sale: Mystery of McInroy Manor? Is Fear for Sale: Mystery of McInroy Manor really the best app in Adventure category? Will Fear for Sale: Mystery of McInroy Manor work good on macOS 10.13.4? Fear for Sale: Mystery of McInroy Manor…Emma Roberts has been tasked with writing a story about an old haunted manor for Fear for Sale Magazine. The estate has been locked up for years, but a sizable donation from Emma's editor has opened up the home for exploration. 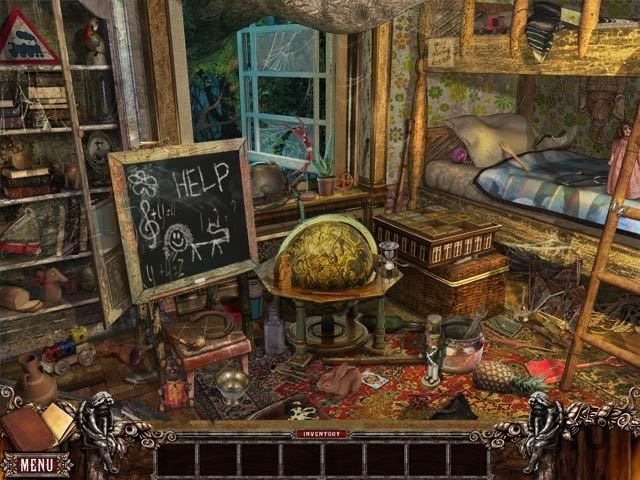 Unravel the tale of the demise of the McInroy family, and set their souls free in Fear for Sale - Mystery of McInroy Manor, a dark and mysterious Hidden Object Puzzle Adventure game. Fear for Sale: Mystery of McInroy Manor needs a review. Be the first to review this app and get the discussion started! Fear for Sale: Mystery of McInroy Manor needs a rating. Be the first to rate this app and get the discussion started!